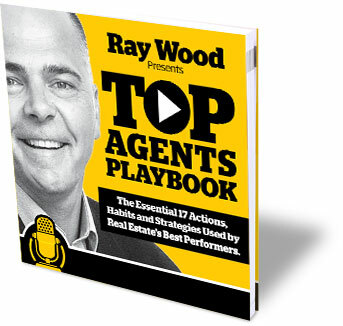 If you think you know a thing or two about negotiating, wait until you hear this! 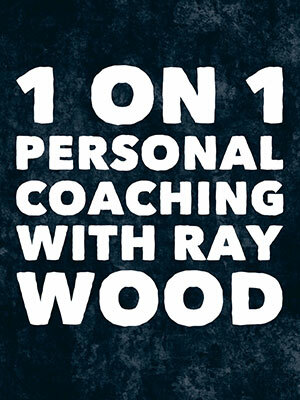 My 1 On 1 personal Coaching is just starting to take off. If you’d like to get involved please email me today and let me know. We speak for an hour every other week and get a real focus going on the dollar productive tasks required to reach the goals we’ve set. Okay, let’s get into today’s interview. Gary Noesner (pron. 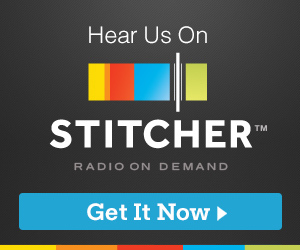 Nessner) is a former FBI agent with a 30 year career as an investigator, instructor, and negotiator. A significant focus of his career was directed toward investigating Middle East hijackings in which American citizens were victimized. He was an FBI hostage negotiator for 23 years, spending the last ten years as the Chief Negotiator for the Bureau. He retired as the Chief of the FBI’s Crisis Negotiation Unit, Critical Incident Response Group. As a negotiator, he was heavily involved in numerous hostage, barricade, and suicide incidents, covering prison riots, right-wing militia standoffs, religious zealot sieges (think Waco Texas 1993), terrorist embassy takeovers, airplane hijackings, and over 120 overseas kidnapping cases. 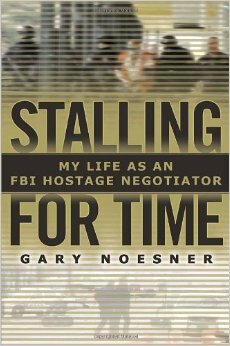 There are some great books on negotiating but I think Gary’s book, Stalling For Time, My Life as An FBI Negotiator. 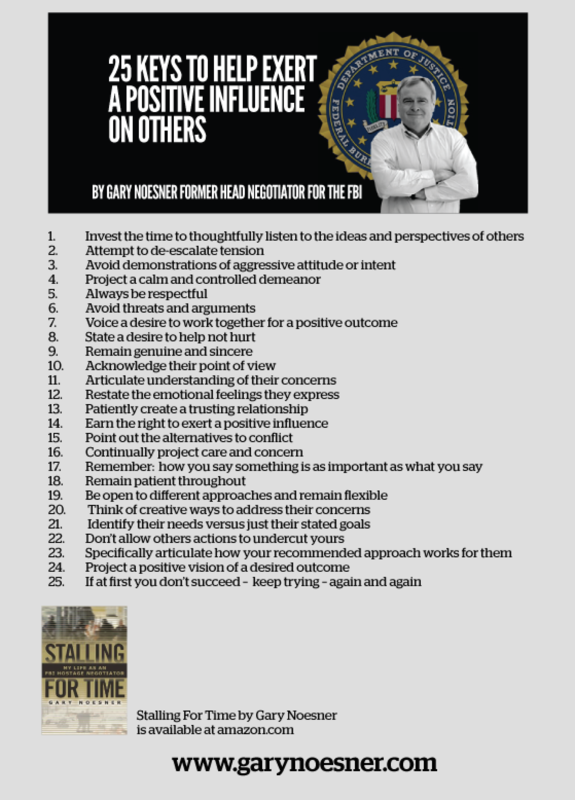 Is the best because the vitally important negotiating strategies are showcased in the stories around his various negotiating experiences with the FBI. Take a look inside Gary’s book, Stalling For Time. I couldn’t put it down. It’s a totally engaging read and I think you learn more about the best negotiation strategies when it relates to a well told story and real life experiences.